No kidding that is the only jacket you would ever really need if you lived in San Francisco. There is basically one long season that has random bouts of sunshine and consistent fog and winds. It essentially never snows here. They have a chronological data bank of dates it has snowed. That being said you also need to be prepared for just about every season but winter. However, you have to be be prepared for them on a daily basis. Yesterday morning I walked to yoga at 9:00 am with my arms wrapped around myself despite wearing boots, and the chambray shirt from K’s most embarrassing item post. It was foggy and chilly. By 12:45 pm I was cursing myself for wearing boots and the same chambray shirt on my walk to help a friend out at her studio (if you love adorable beasts and hand made artistry, check her out!). I was baking and worried about getting sunburned. By 5:00 pm on my walk home, I wished I had a jacket. And if I went out at night, I would need a wool sweater, scarf, gloves and a jacket. All that aside, I love it here, as far as I have experienced it rains little, and I wear pretty much the same things all year. Sometimes I wish I could wear the same thing all day and into the night like you can in NYC, but I prefer the mild weather to extremes. And by the end of writing this post I have basically convinced myself to find a way to buy the Steven Alan jacket, because I will actually wear it everyday, so it’s worth it, right? Part of being a New Yorker, or any east coaster if I may be so bold as to generalize, is being overly excited for the coming of fall – crunchy leaves, incredible colors, crisp pre snow air, apple cider, cool nights, big sweaters and new boots – the list goes on and on. That first cool night towards the end of August (knowing it will go right back up to 95 the next day) brings with it a rush of pre holiday coziness – that magical time before you remember how stressful the holidays really are. A larger part of being a New Yorker is the visibly annoyed, irritated and ‘pissed off that it is now September 27th and still too hot to wear your boots and a sweater’ part. Also, blaming mother nature for being confusing when really you’re the one who just forgot that 68 degrees is still pretty warm and does not require leggings and a sweater dress. It’s as though you forget what temperature means… Today for instance I am wearing an adorable fall outfit…but it is 73 degrees out. I’ve had a sweat mustache all day and my jeans and legs have become one. Whose fault is this? If you ask me while I am sitting in my cool office I will admit this is my fault. But the second I step outside to walk to the subway I will be cursing the heavens above for giving me a beautiful 73 degree and sunny day 4 days before October. You’d think I would learn my lesson year after year. But I do not. And I am not alone. I just want to wear this already. And these boots. But that has less to do with the never ending summer and more to do with my very empty wallet. Just for fun, favorite fall movies: obviously When Harry Met Sally and let’s not forget an absolute classic must see if you haven’t, Home for the Holidays with the great Anne Bancroft and Robert Downey Jr.
J’s DIY post made me want to share something truly special my friend Kyle and his new bride, Jamie, did during their vows at their wedding. It’s not something that can literally be considered a DIY in the traditional sense…but J’s post got me thinking about what makes a wedding truly special for not only the bride and groom, but their family and friends as well. For me, it’s been whenever they make it a priority to sprinkle some personal touches throughout the experience. Whether it’s as crafty as actually making your own signage, putting together your own flower arrangements – or just serving your favorite foods like french fries during cocktail hour because if you could have it your way you’d have french fries wherever you are at all times. During their vows Kyle and Jamie did something I am sure other couples have done in the past, but I had never seen it and have now filed it away for future reference. They had a box up at the alter that they were going to seal together with the promise of re opening it again on their 11th wedding anniversary. Being wine lovers, the first thing they chose to put in the box was a special bottle of wine that will only get better with age. They opened a bottle at the alter, each took a sip and put an unopened bottle in the box. Along with the wine they placed two sealed envelopes with letters they had written to each other, listing all of the reasons they have fallen in love and decided to marry. These, too, won’t be opened until their 11th wedding anniversary and neither have any idea what the other had written down. It was a personal touch that made everyone at the wedding feel like a part of something special. What would you put in your sealed box? Dear Trader Joe’s, thanks for helping out a thrifty lady. 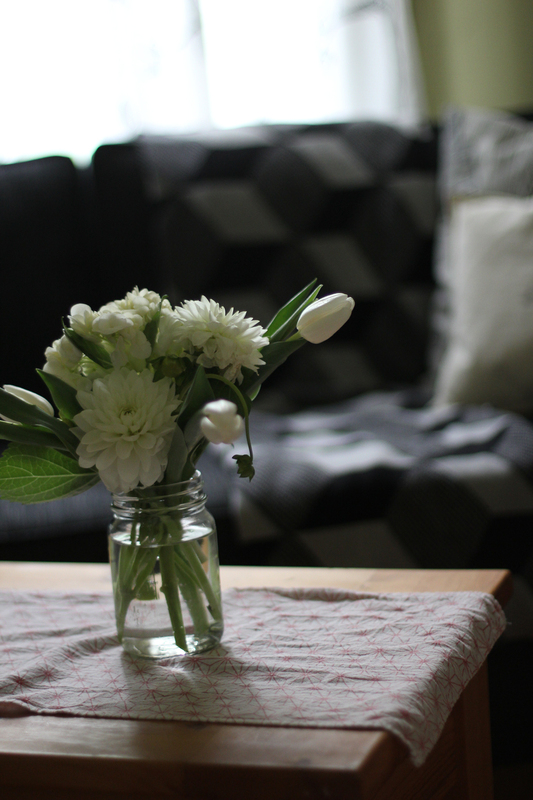 I made these two flower arrangements in less than 20 minutes for under $16. With a hydrangea bunch to spare. When choosing flowers I just trusted my instinct, but I was looking for healthy plump flowers. 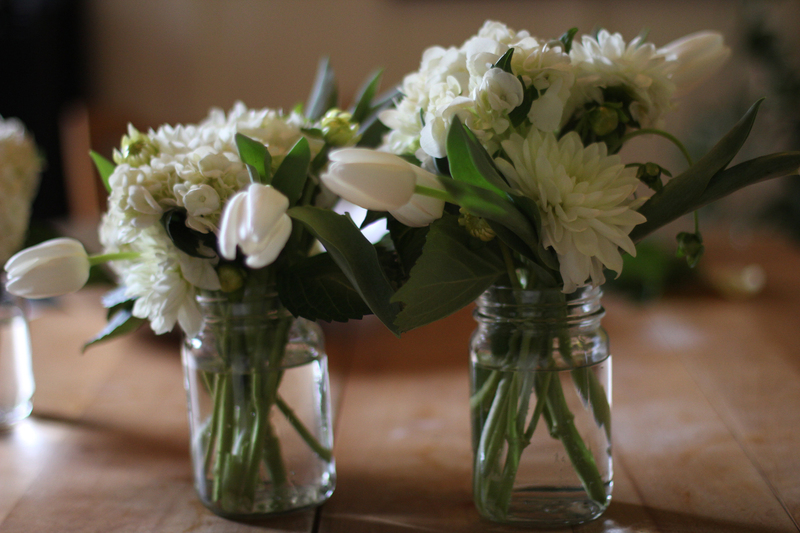 I like white and green bouquets, so I was looking for a variety of shapes, textures and sizes. If you are mixing colours, probably stick to two or three contrasting colours and have less variety in size and texture to create a sense of unity. If you are using similar tones go crazy. I trimmed all of the stems, just eyeballing the rough height I would want for the arrangements. I started with the focal flower (the hydrangea) and placed the smaller flowers around. 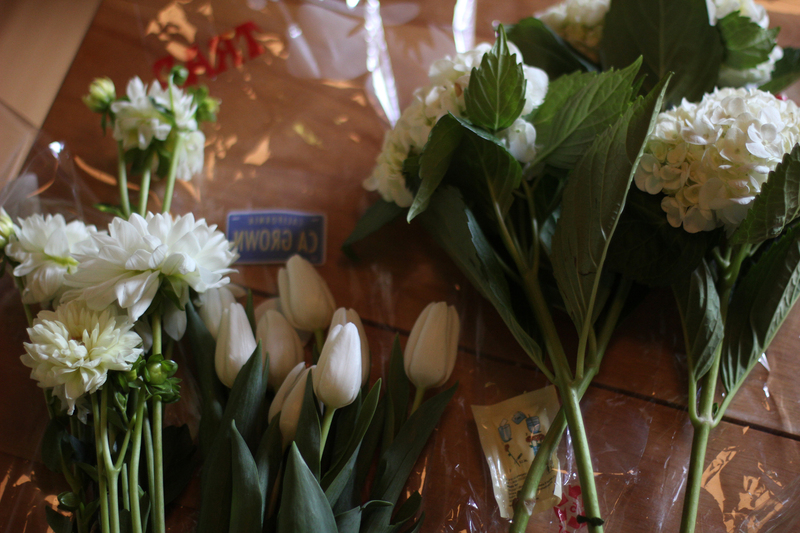 I like the tulips because they create dimension and have a stark smooth texture compared to the ruffly hydrangeas. Then just fill each container with cold water and place in your favorite spot. I am no expert on the matter, and I am sure there are about 1000 more useful tutorials on line. My only advice is just to have fun with it, and embrace asymmetry. Wedding season is upon us. Whether we like it or not. I’ve been to two destination weddings in the past two weekends, both in upstate New York. One at the historic Landmark Theatre in Syracuse and the other in the heart of the Adirondack Mountains, a little town called Saranac Lake where fall is in full swing. Both grooms are very special friends of mine and represent two very important phases of my life. 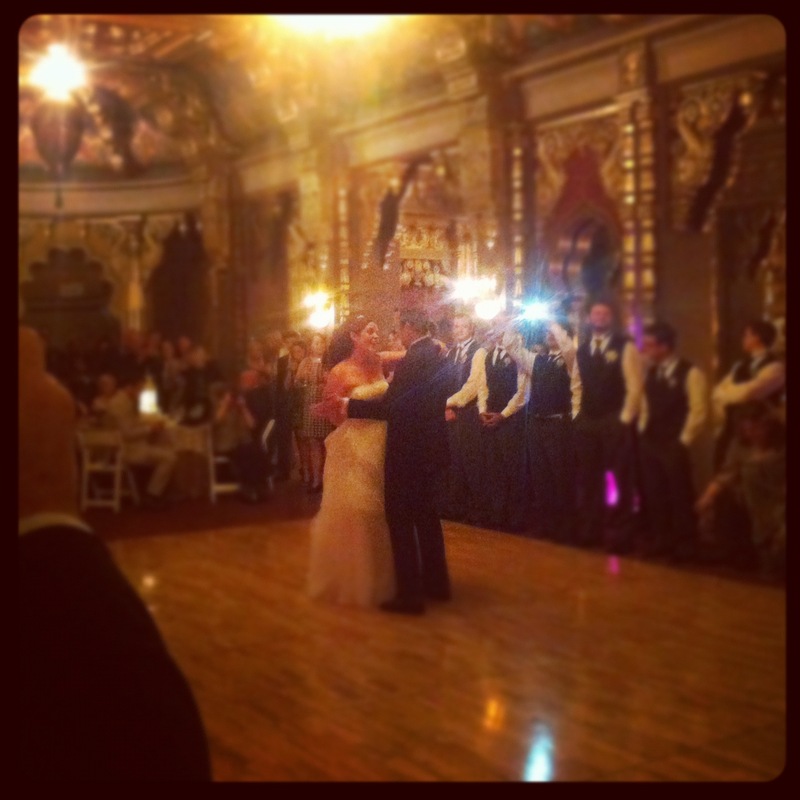 The Syracuse wedding was the wedding of my childhood friend/senior prom date and was a fun, emotional weekend of reminiscing and re connecting with old friends. It was a really warm, beautiful feeling to watch someone I’ve shared a childhood with, embark on adulthood with his one and only. 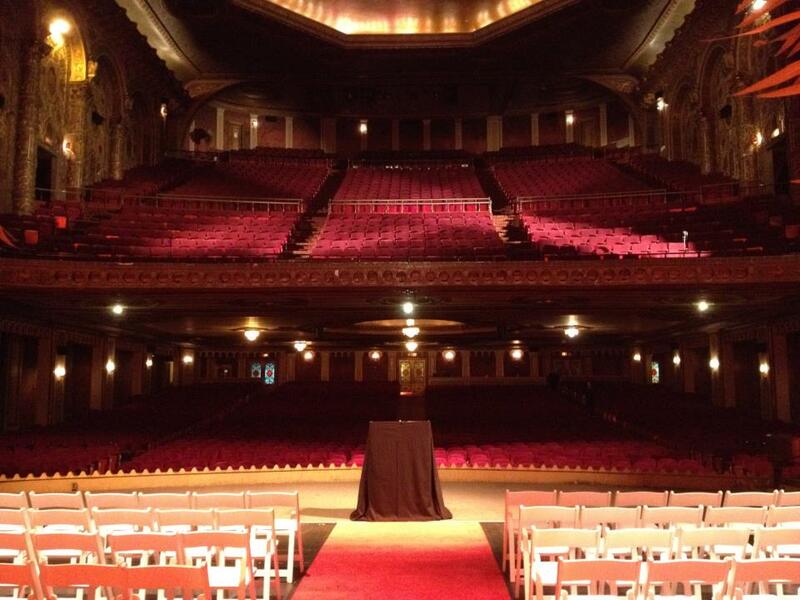 I want to tell you a little about The Landmark Theatre in Syracuse because this place blew me away. It was built in 1928 and has been kept alive and running by the people of Syracuse. As soon as you walk in you feel like you’ve gone back in time to the days of flapper dresses and bowler hats. A time when people actually dressed to the nines just to go to the theatre on a Saturday night. This theatre survived the great depression and is full of rich history. It’s a special place and even more appropriate for my friend and his bride because of their deep love of film. The ceremony was on the stage in the main auditorium in one of the most breathtaking rooms I have ever seen. I had a sneak peek of the location months ago when the groom asked me to illustrate their Save the Dates and Wedding Invitation and as you can imagine I was completely inspired by this location. It certainly made for a fabulous night. 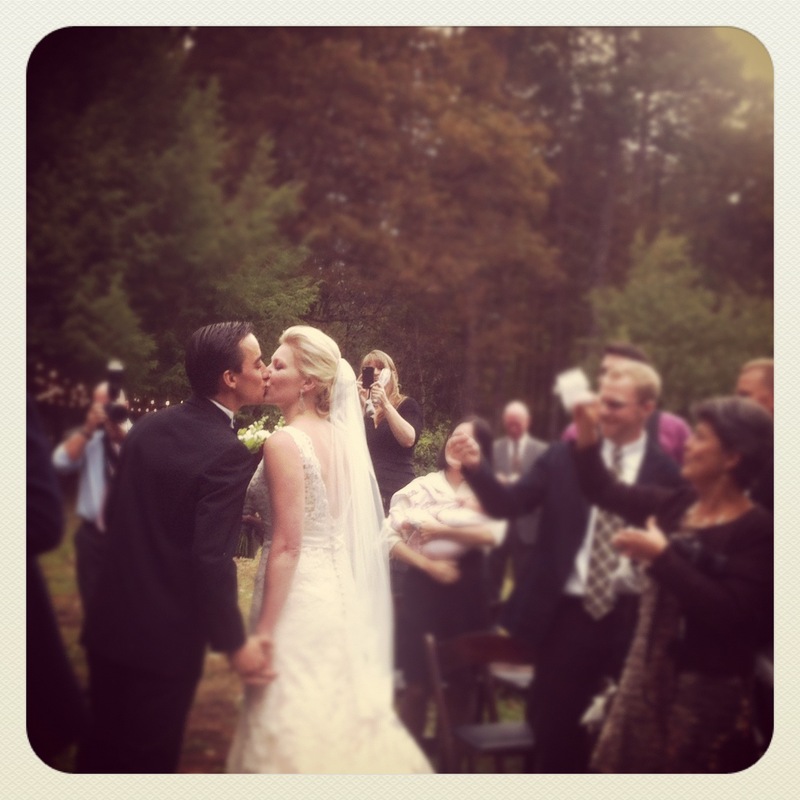 The second wedding in Saranac Lake NY was the wedding of my good friend from college. He grew up in the Adirondacks and met his bride 6 months prior to their engagement. When I told him he was crazy he just looked at me and said, “when you know, you know…” And it was not until I saw them this weekend that I understood exactly what he meant. They got married on a rainy rainy day but I don’t think either of them even noticed. Actually, I think the rain made it an even more magical night. The wedding was in a tent surrounded by red, yellow and orange trees and inside you entered a world where The Great Gatsby meets Alice in Wonderland. A chic, sophisticated, vintage and playful world the bride and groom designed and executed themselves. 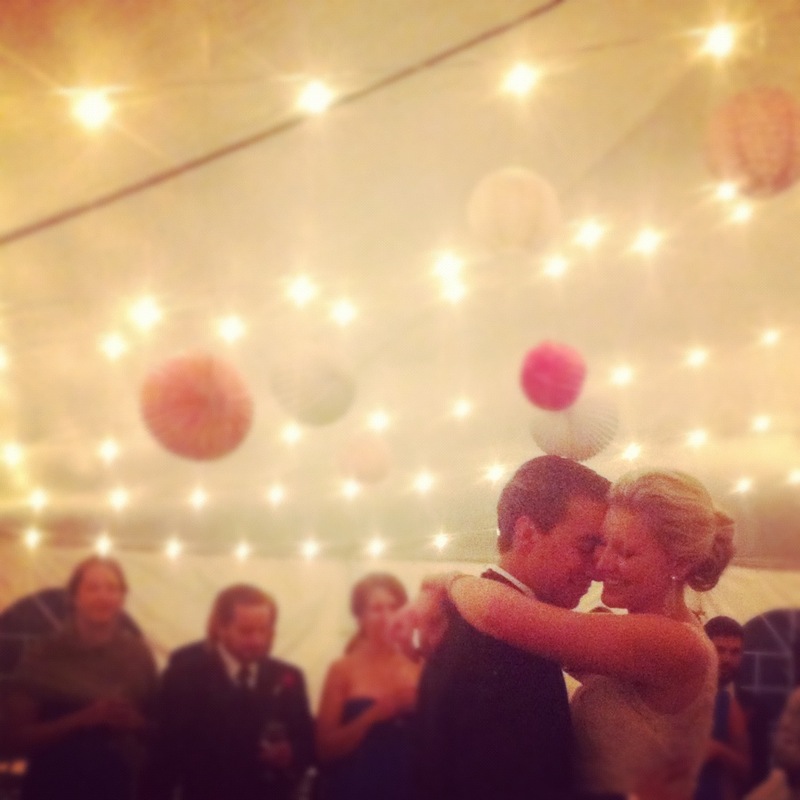 The sound of rain drops on the tent made it that much more cozy and intimate – I’d go so far as to say I would welcome a rainy wedding after being a part of theirs. I experienced a lot of love these past two weekends. Both weddings made me stop and think about what all this growing up and getting older craziness is really about and how important family is. Can’t wait to see what miss J has in store for us in only a few weeks! 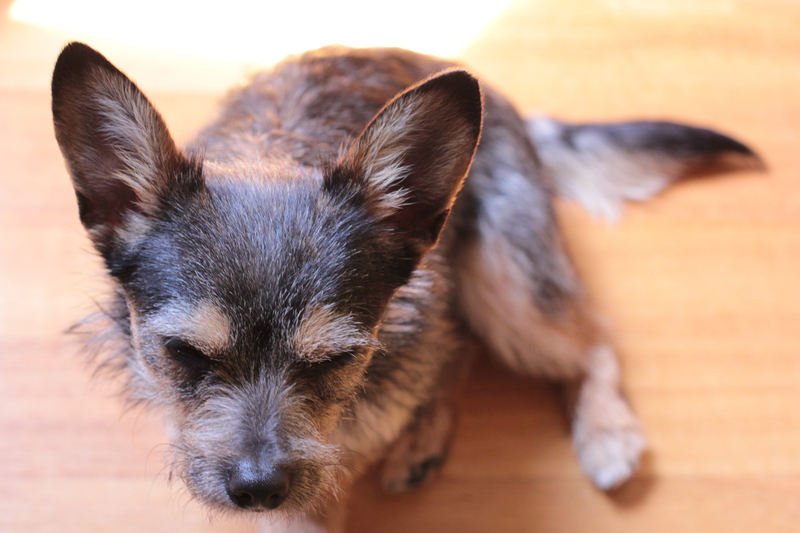 Mostly… I just can’t wait to see her!! As the wedding is less than a month away, the hubs and I realized we should decide what we want to do as far as a honeymoon goes. We both have our hearts set on a 3 week Mediterranean trip, which will have to wait for next year. We went back and forth on it. Should we just save money for our big trip next year? Or do a short honeymoon? 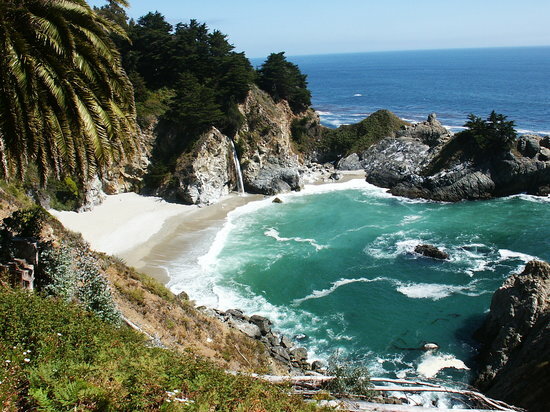 In the end we decided on a 3 day road trip to Big Sur. We’re planning to do some easy hikes, some delicious eating, drink red wine, and hopefully check out the hot springs. My online research suggested the hot springs here. We’ll have to decide if we are brave enough for “clothing optional”. Thinking about eating here, and maybe a nice dinner here. And after a lot of indecision we decided to splurge on a room at Glen Oaks, and amazingly this is really on the lower end compared to a lot of the places in the area. I’ve been trying to eat healthier lately. Sometimes though, I just want something delicious and ridiculous. Think slabs of gooey cheese or bread with butter. Or a huge bowl of pasta. The quick recipe below is one of my go to for healthy food that feels really indulgent. 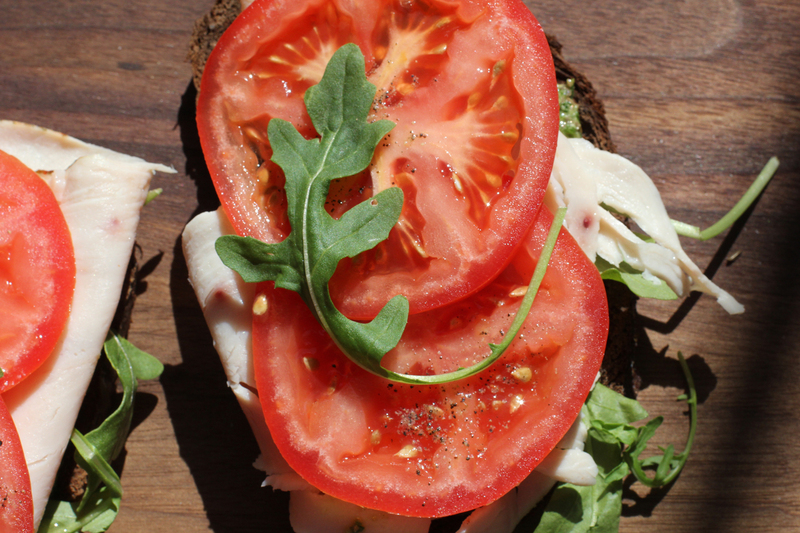 I ended up smearing it on toasted rye bread with a little more arugula, sliced tomatoes and turkey for an open faced sandwich. It is also great with a charcuterie plate, mixed into salad dressing, as a spread for bruschetta, with mushrooms, in an omelette, let’s just say it’s versatile. I tried to make a rough recipe, but I really just eyeball everything. 1/4 cup of your favorite olive pitted. I used Kalamata, I’m sure castelvetrano would be amazing. Place everything in a food processor and pulse until relatively smooth( I use this, and it is the perfect small kitchen gadget). Store in the refrigerator for up to 4 days (that’s just a guess, mine rarely sits around longer than 24 hours). This recipe would be great with basil or parsley. You could also swap pine nuts for the feta if you want it to be vegan. 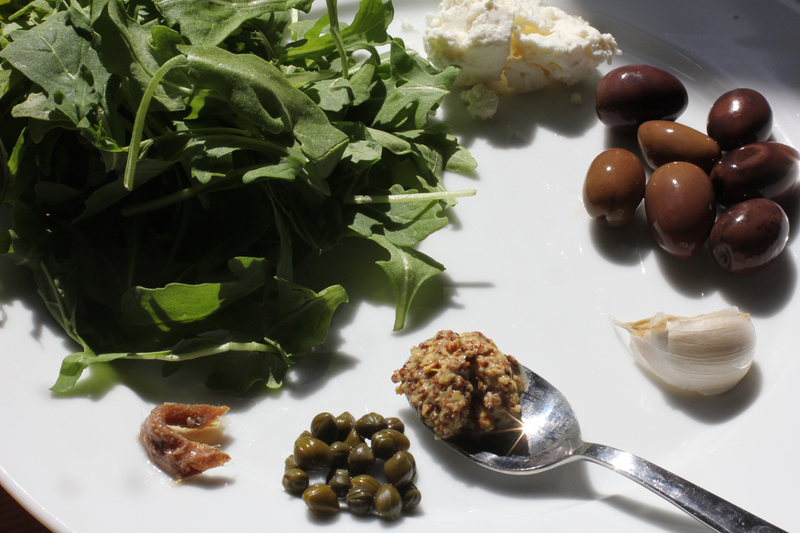 It is a really flexible recipe, that I made in desperation one night when I went to make olive tapenade and realized part way into making it that I only had a handful of olives, but I did have a farmer’s market bag of fresh arugula. 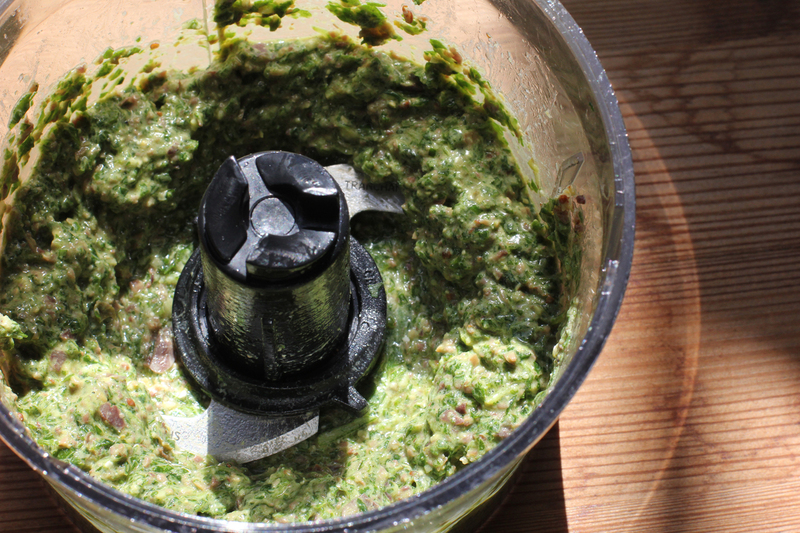 I also don’t always feel great about store bought pesto because of the large amounts of oil, and making it at home can be expensive depending on the cost of your basil and the high price of pine nuts. So enjoy, it is really delicious and super easy. Every once in awhile I want to take a day out of the week to recommend something I think everyone on the planet should read, watch, listen to, eat etc… And this is one of those days. About a month ago I went to one of my favorite independent theaters in Westchester County – Jacob Burns Film Center. This place always plays the greatest movies – old and new. I got to see Gone With The Wind on the big screen here as well as Casablanca and an animation favorite, The Iron Giant. Plus anything new that is worth seeing (emphasis on ‘worth seeing’). 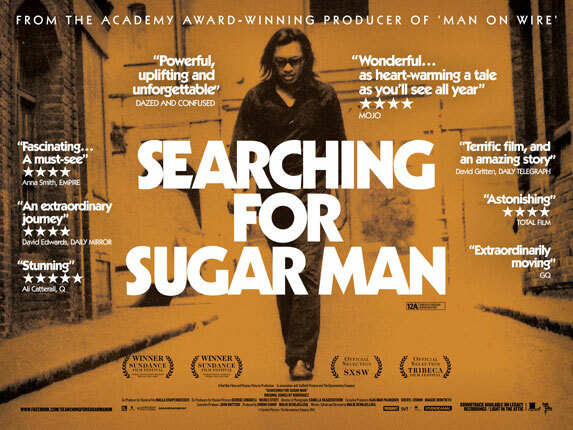 Searching for Sugar Man is a documentary about a Mexican American singer song writer from the late 60’s who totally flopped in the States even after being produced by some of the biggest names in music. Meanwhile – he becomes bigger than Elvis out in South Africa and no one in the States knows about this fame until 1995. 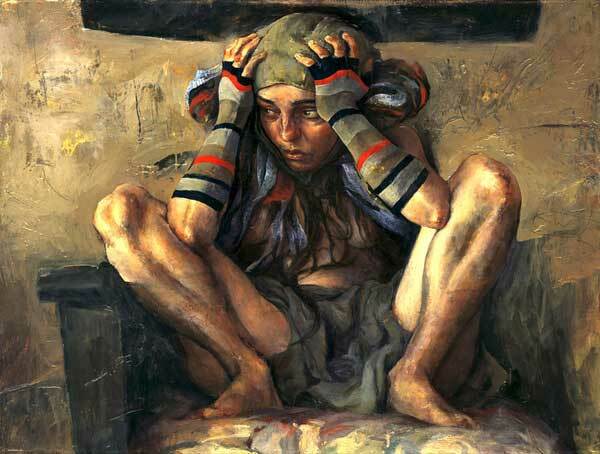 It is a crazy story that you can’t believe is true … but you leave being happy it is. I don’t want to say too much about it so please just go see it immediately. I honestly feel like everyone on the planet should see this. 1. play piano like a champ. 3. I’d like some rhythm when I dance. That would be nice. I had actually planned to take piano lessons when I moved to SF. You know how when you make a big change in your life you assume you’ll all of a sudden have the time, energy and finances to do all that you dream about? Maybe I misunderstood what a “time difference” was and thought it meant west coasters had the luxury of a 27 hour day… and mistook liberal for meaning “things are free here.” “Oddly enough” I had no time, energy or money to throw into private piano lessons…Though it is still on my list. Someday! I will be able to play Sara Bareilles songs to myself when no one is watching. Someday. I think its good to make these lists every once in awhile…see how they change or even better, see how they stay the same. This list randomly popped into my head in no particular order. ride a bike. capably as a mode of transportation. play an instrument. preferably the cello. run. I just hate it. tell stories and jokes. well and without verbal word flailing. a handstand. in the middle of a room. ps. this is by no means a list of things I am currently working on, aside from the handstand. Nor is it intended to be altruistic or all-encompassing. These are just things I wish I could wake up tomorrow and do, just because. Also I know that it’s not too late to pick them up. I’m just lazy.